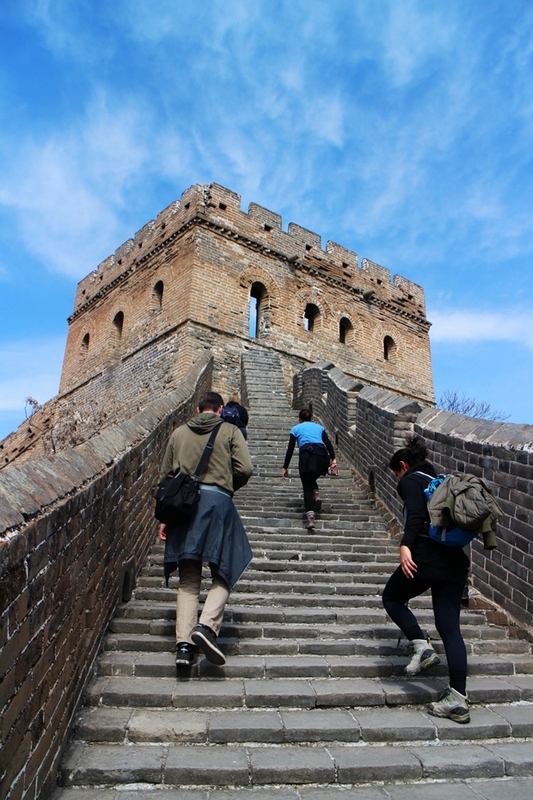 An intense 15 km hike from the renovated staircases of Jinshanling Great Wall to the authentic fortresses of the Gubeikou Great Wall. The scenery here is stunning and the photo opportunities endless. You’ll need a good physical condition to hike this trail but there is plenty of time for it. Level 3: Medium-strong These are hikes where you need a good physical condition. Hikes marked as level 3 are usually long day hikes and might include a steep uphill hike and/or trails where you need some balance. From the meeting point our van will head North East for about 2 hours to the border of the Beijing and the Hebei province. 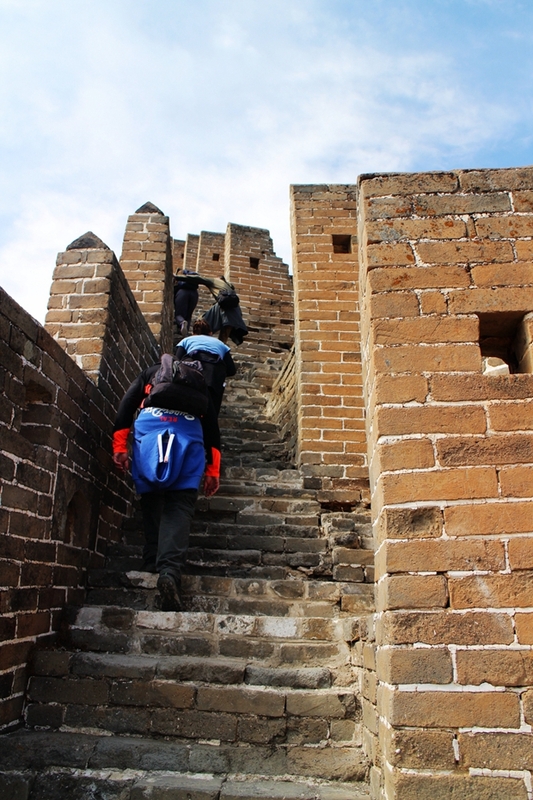 The hike starts with a climb of the infamous staircases of the JinshanLing Great Wall. 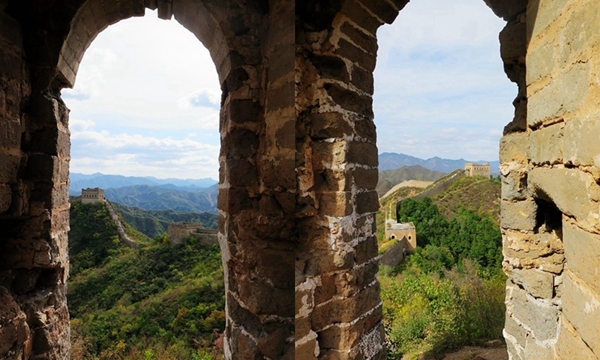 The Jinshanling section has a total length of 10km with intact watchtowers almost every 100meter. 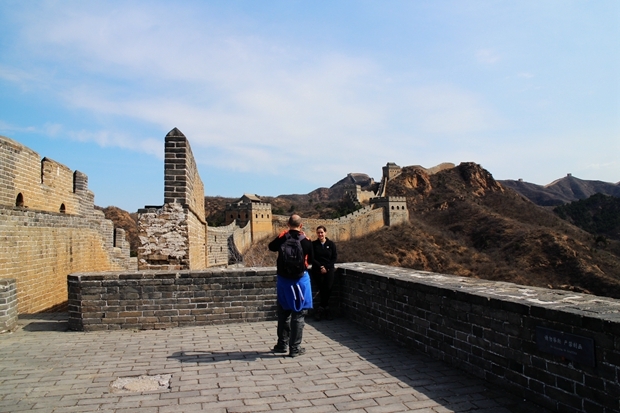 As we walk south, the Great Wall becomes less renovated, tourists become sparse and new views unfold. 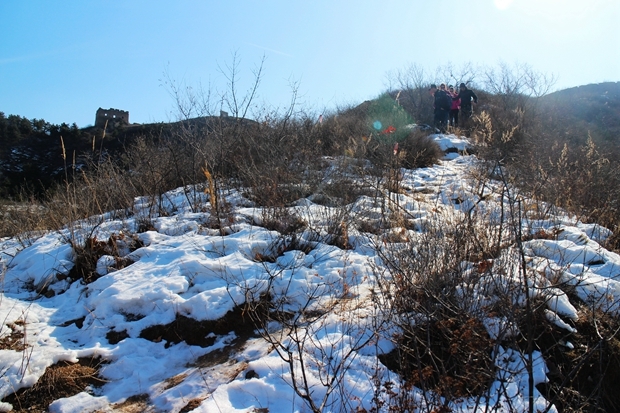 Just before we reach the restricted military zone we take a detour of the wall and up a hill top where you have a fantastic 360 degrees view of the Great Wall winding on the mountain ridges. We head down a small dirt trail that leads to a local farmer who will serve us an excellent lunch. 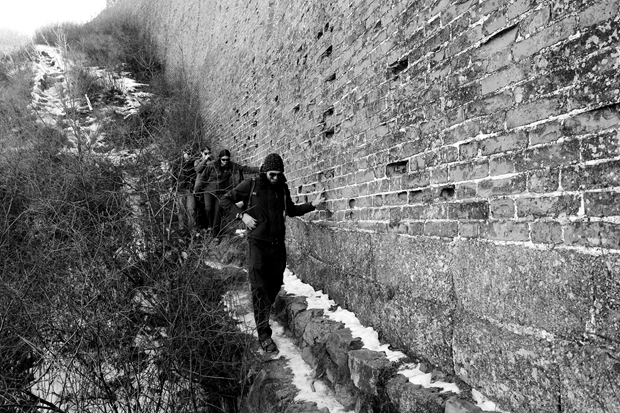 With renewed strength we follow a 5 km trail that curls alongside the wall, over the hills, trough a small forest and pops out of the bush at the General tower of the Gubeikou Great Wall. Here we have reached the highest point of the day and another magic place for pictures. The last part of the hike is entirely on top of the Great Wall again. It’s a 5km walk on top the Wild Great wall where will go trough and climb up numerous watch towers. 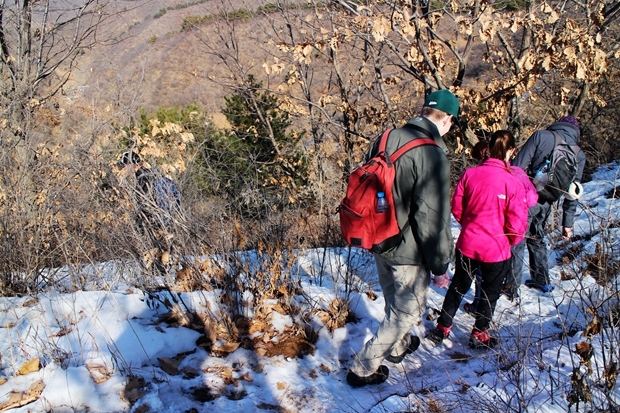 There are no steep climbs on this sections but the trail can be slippery so be sure to wear comfortable shoes. 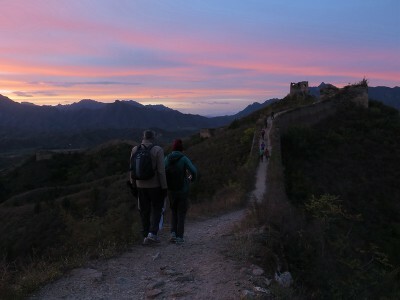 By sunset we arrive at a farmhouse surrounded by the Great Wall. Our hosts will cook a fantastic dinner accompanied by beers. Next day after breakfast we walk out the valley and trough a small folk village where our driver will be waiting for us. 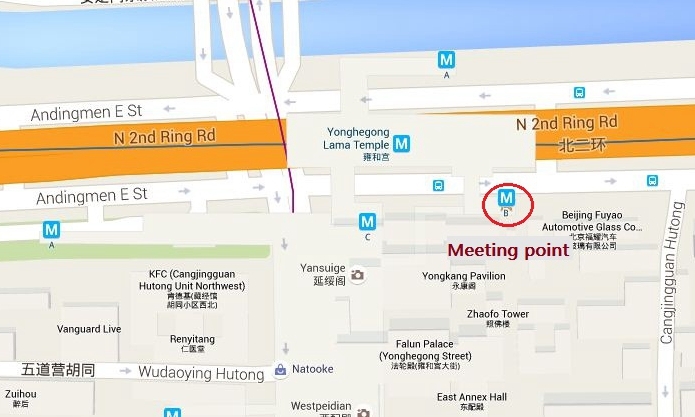 By lunch time we will be back at our meeting point. It was said that 3,000 soldiers from Jiangsu and Zhejiang provinces built two watchtowers, under the command of famous Ming general Qi Jiguang. They named this part of the Wall after the Great Jinshan Island and Small Jinshan Island in their hometown to show their sentimental feelings. 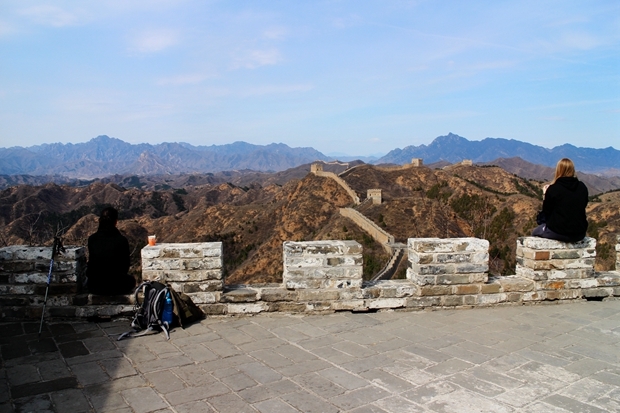 The Great Wall at Jinshanling is about 155 kilometers away from downtown Beijing and stretches from Miyun county of Beijing to Luanping county of Hebei province. 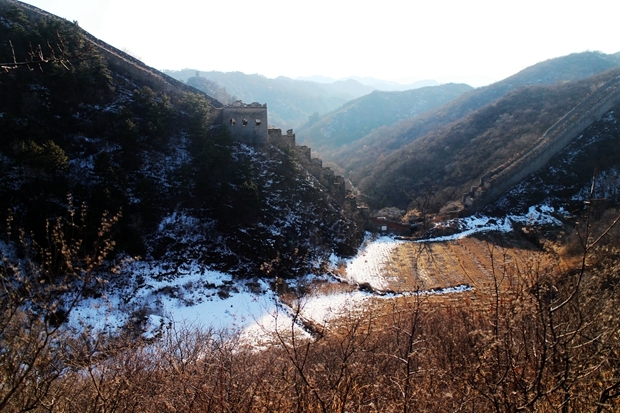 Jinshanling connects to the Great Wall at Simatai in the east and Great Wall at Gubeikou in the west. 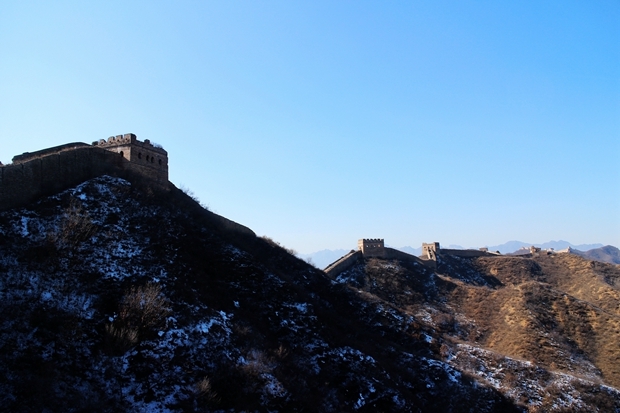 The Jinshanling Great Wall was first constructed in Northern Qi dynasty (550-577), with the wall, fortresses and passes. When the Ming dynasty was established in 1368, the famous general, Xu Da supervised and directed the construction of the Great Wall between the Shanhaiguan in the east and Juyongguan in the west. Again in 1567, General Tan Lun and Qi Jiguang were appointed to guard the northern frontier of the capital in this area. 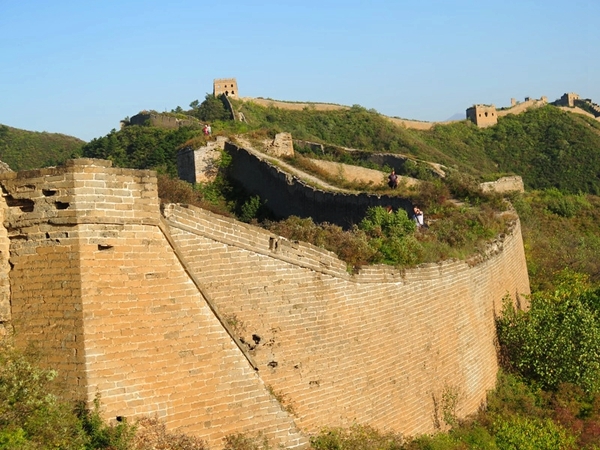 Qi Jiguang spent 16 years to repair and reconstruct the Wall of a total length more than 1,200 kilometers in the northern frontier. 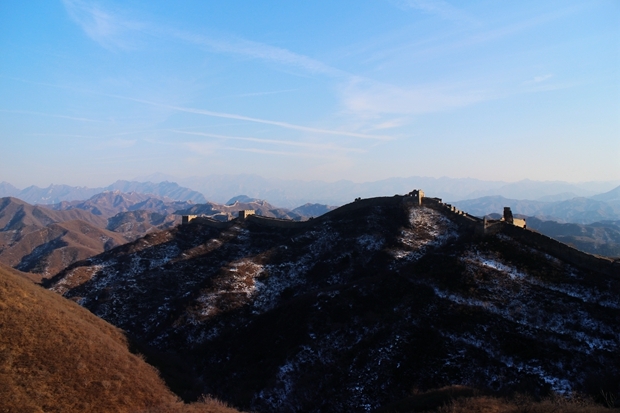 Jinshanling Great Wall has high density of watchtowers and Barrier Wall. 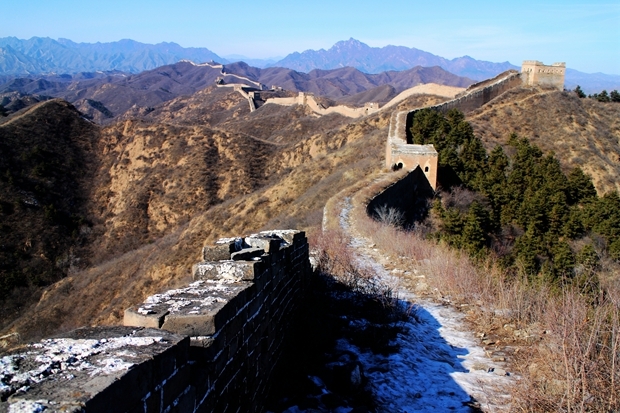 The Wall is about 10.5 kilometers long with 67 watchtowers, 2 beacon towers and 5 main passes. The general interval of the watchtowers on the wall is about 100 meters, but in some places with more complex terrain, the interval is only 50 to 60 meters. Such density of the watchtowers is rarely seen on the entire length of the Great Wall. 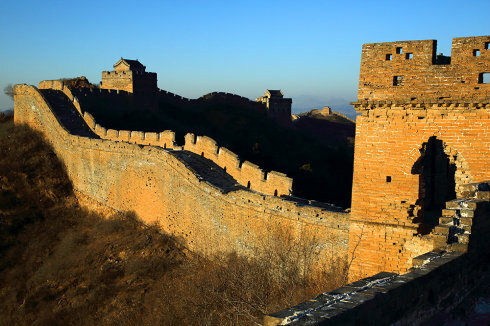 The Barrier Wall was built on the top inside the Great Wall, vertical and parallel to the battlements. It is 2.5 meters high with peep holes and arrow holes in it. 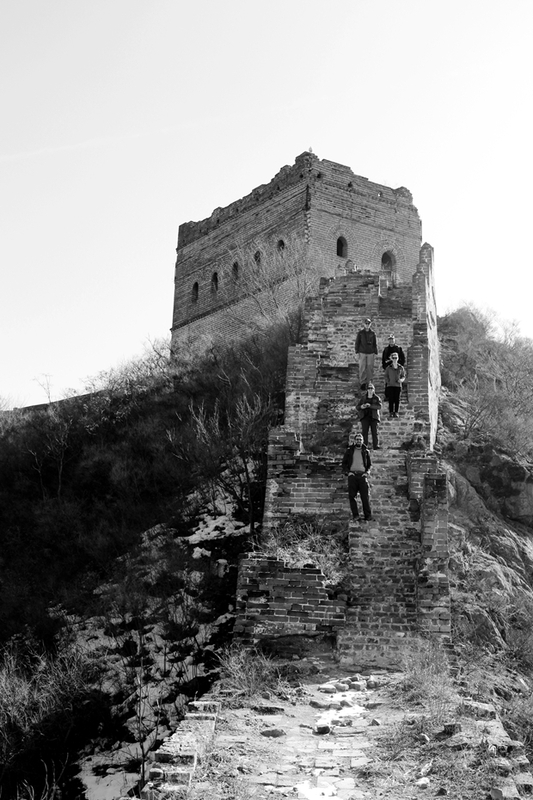 It served as the second barrier when the enemy succeeded climbing up the Great Wall. 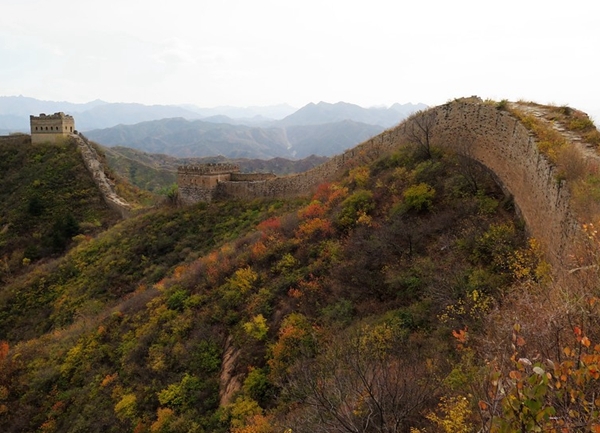 The Great Wall at the Jinshanling is about 7 meters high, 6 meters wide, and built of rectangular slabs of stone. 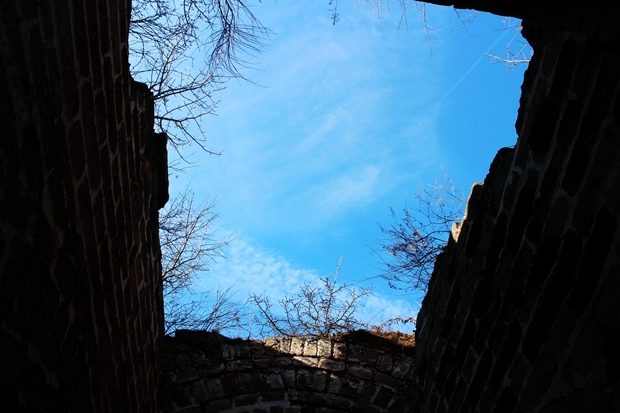 The brick-paved walkway along the top of the wall is 4 meters wide and the crenellated openings 2 meters wide.There are small holes in the merlons for watching and shooting arrows. There are also special openings between the crenels to insert flags for display or signal transmission. 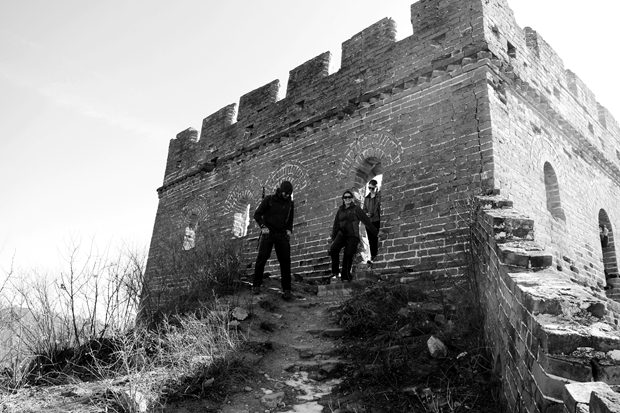 The elevation in Jinshanling is about 700 meters above sea level. It is said that standing at the tower, one can catch sight of Beijing’s lights at autumn nights and the scene seems that there is a shimmering starriver far away. The Wangjinglou Watchtower is built on one of the Jinshanling hills, 980 meters above sea level, like a great dragon holding up its head and swaying its tail, the Jinshanling Wall is loftily meandering among the hills, ridges and mountains forever. 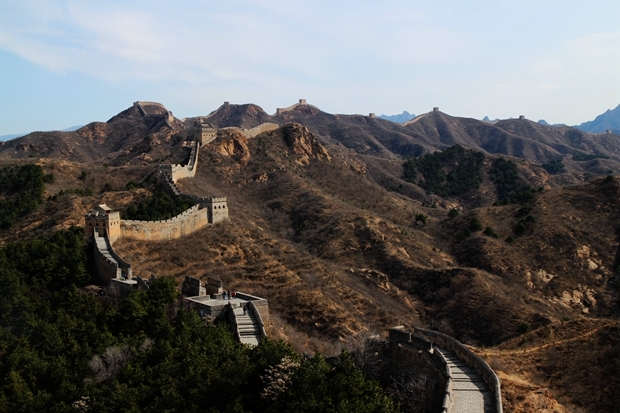 Based on huge stone bars, the Great Wall was then made by huge bricks, each of which weighed about 12 kilograms. Featuring various structures and having various functions, the watchtowers in Jinshanling are either one-story or two-story. On the first floor there are some windows for shooting arrows. There are many and varied types of the roofs of the towers, flat, arched, quadrangular or octagonal. Some are used to store weapons and hay. Others are used as soldiers’ bedrooms. Among them, the most famous two are the Big and Small Jinshan Watchtowers. The Big Jinshan Watchtower has two stories which are connected by stone stairs. There is a small room used as the soldiers’ retiring room on the top of the tower. The structure of the small room is unique. The rafters and eaves of the room are all made from polished bricks. 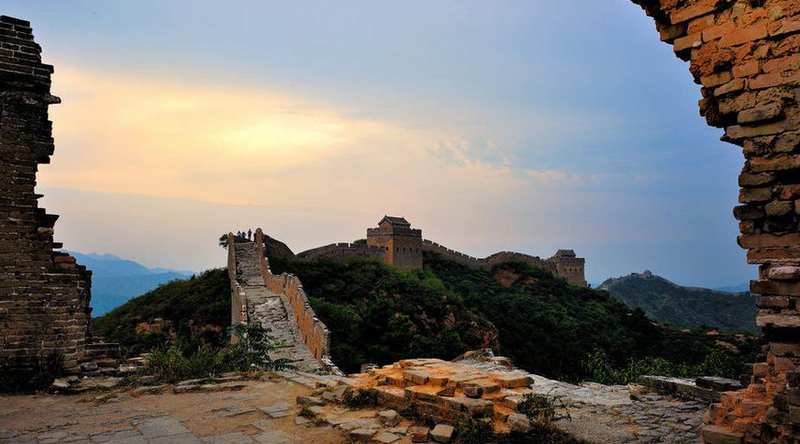 The General Tower, the Black Tower and the Taochun Tower are also must-sees on the Jinshanling Great Wall. Each tower has its legend. The general tower was named to commemorate Wu Guihua, a heroine who sacrificed herself to resist northern invasion in the Ming dynasty. The Black Tower and the Taochun Tower were dedicated to commemorate two girls, Heigu and Taochun, who made great contributions to the construction of the Great Wall. Gubeikou was originally named “Beikou”, which literally means “Northern Pass”, during the Tang dynasty (618-907), since it is the northern defensive line of Beijing. Later generations added “Gu” (ancient) in the front of “Beikou”, and meant “Old Northern Pass”. 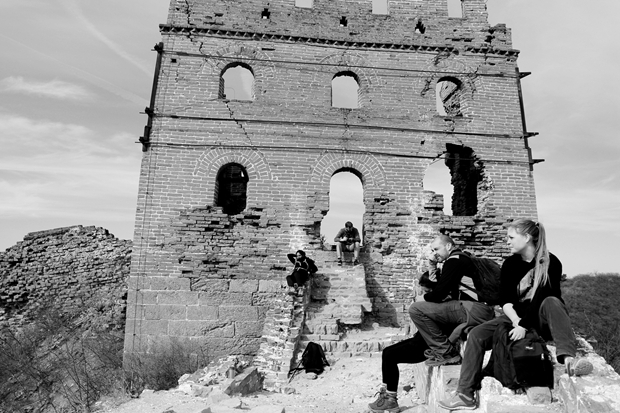 Gubeikou Great Wall is located in Miyun county, 140 kilometers away from downtown Beijing. Gubeikou was first built during the Northern Qi dynasty (550-557). In the early Ming dynasty (1368-1644), General Xuda was ordered to rebuild it. To enhance its defensive capability, more stones were add. Unfortunately, not many can be found today. The best-preserved is called the Big Flower Watchtower (Dahualou), because of its square shape with 12-arrowed windows, which resembles a blossoming flower when seen from afar. When Qi Jiguang was appointed the chief commanding officer of the Ji Garrison (one of the eleven garrisons during the Ming dynasty), he ordered to lay another layer of bricks standing side by side the original one, forming the unique double-layered Great Wall. 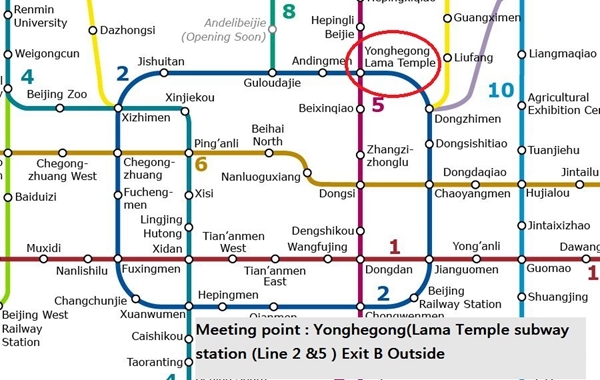 It goes for over 20 kilometers and comprises of the four parts: Wohushan, Panlongshan, Jinshanling and Simatai. 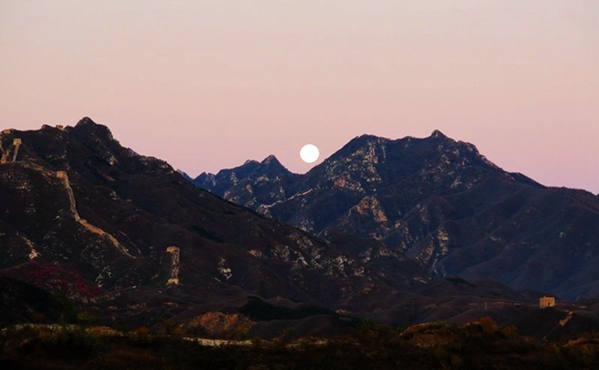 Gubeikou was a strategic pass of the Great Wall in ancient times, and Panlong Mountain and Wohu Mountain are connected by it with the Chao River flowing across Gubeikou Great Wall, offering an important access to Inner Mongolia and northeast of China. This section is the most intact and well preserved, original section of all the sections in Beijing. “Wohushan” literally means a mountain resembling crouching tigers, as it looks like two tigers: one lying on its back and the other on its stomach. The Wohushan section features the unique “Sister Towers”. The Elder Sister Tower to the north is higher than the Younger Sister Tower to the south. Seen from afar, they are like two pretty ladies hand in hand. The Sister Towers were used to station troops, store weapons and foodstuffs during the wartime. The 24-window Tower is the last watch-tower at Panlongshan section. It has three storeys, which is unique. There are three windows on each side on the first and second storey and teeth-shaped crenels on the third storey. The 24-window Tower worked as a partner with the General Tower during the wartime. However, the northwestern side of the tower has now collapsed, leaving behind the eastern and southwestern walls standing firm and still. This section has 143 beacon towers. The inside of these towers has different designs. Some towers have a flat ceiling. Some have an arched ceiling, a domed ceiling, or an octagonal. Each tower consists of two floors, six archways, and ten arched doors, allowing garrisoned soldiers to advance and retreat freely. 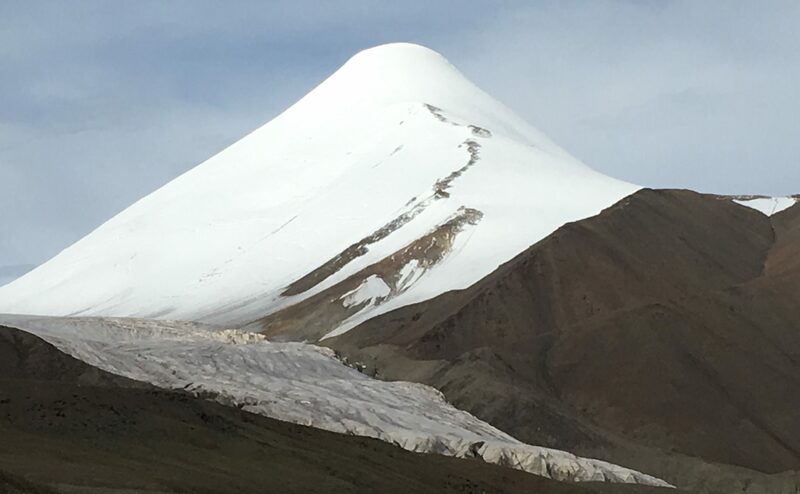 The happy prospect of another expedition with China Hiking. We join the crowded highway heading out of Beijing. Many are leaving a crowded place in order to spend their free time among more crowds. 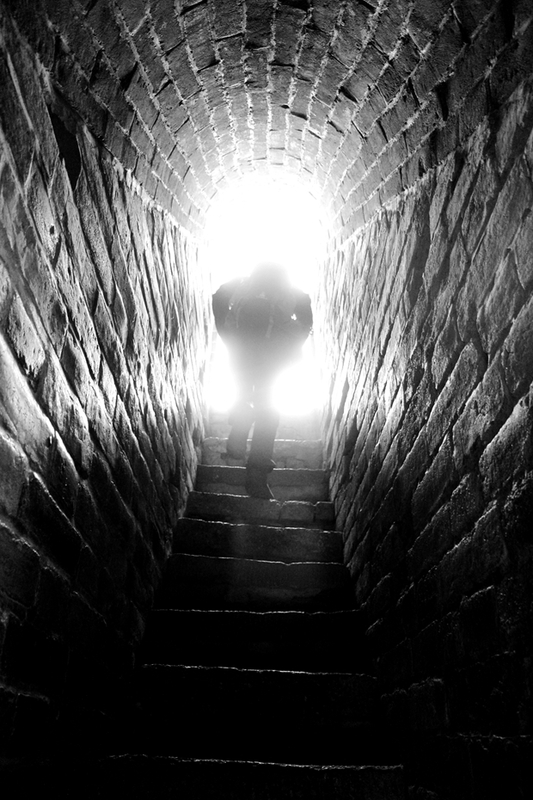 But we are heading for solitude, to a wilder section of the wall where there are no vendors or garbage bins. This solitude is remarkably easy to find. The watchtowers stand alone. There are two main seasons up here. The green season and the brown season. At this time of the year (the last part of the green foliage season in our case) wild apples and berries can be picked and enjoyed en route. The sun is shining and there is a pleasant breeze. The wall never fails to impress as it snakes across the landscape. The shapes of distant hills layered into the horizon in various shades of grey. 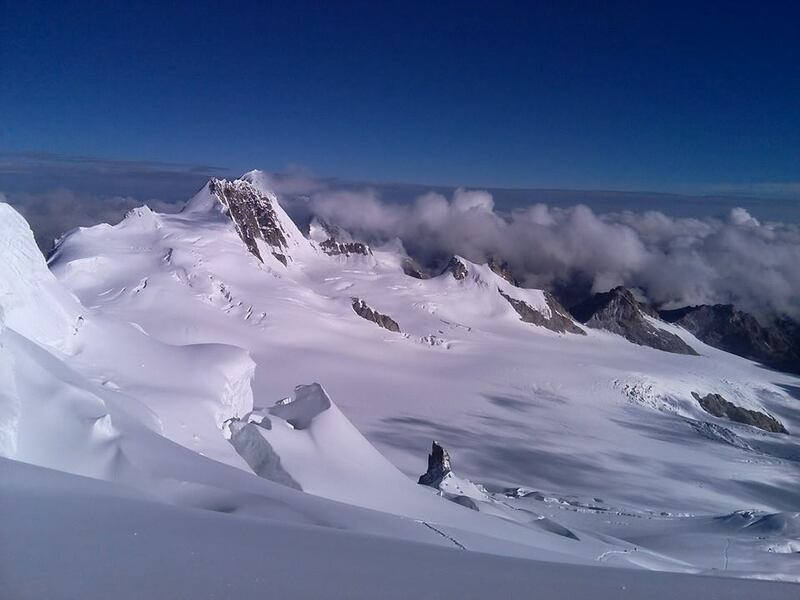 It is a photogenic place and I have never witnessed any hiker up here who has been disappointed with the views. I have brought a bicycle with me. I like to think it’s the first one that has ever made it to this section of the wall. It’s not a real one, but a model. A gift from a friend who cannot be here because of work commitments, but who I hope will appreciate being remembered. This mini-bike looks remarkably at home nestled among the stones of the watch towers and crennelations of the wall borders. I can’t help thinking about the sentries and guards who watched over this place. They would have found these full sized metal and aluminum horses incredibly useful. It was to be hundreds years before other invaders brought bicycles to this land. Fred and I rxchange comments of enthusiasm about the place. We never get bored of being here. As guide and customer respectively we feel privileged to be allowed to come back to the Great Wall. It is our favourite wall in the world. Heidi and Fred support the local people. A nearby farmhouse supplies dinner. The food is ferried up a steep path to the campsite on a huge wooden plank. Delicious. Later, this and the accompanying wine and beer, induce an exchange of songs from a variety of different countries. This takes place around the crackling campfire at this time of the year. During the brown season it is strictly forbidden as the risk of starting a bush fire is too great. Banter joins the sparks on random trajectories when darkness descends. As the moon and stars appear the conversation topic switches briefly to constellations. Everyone is in a good mood. Our tents, mats and sleeping bags are in position to transport us to sleep. After a sumptuous outdoor breakfast at the farmhouse, which includes noodle soup and current buns, we conclude the journey by hiking the remaining few kilometers to the minibus with our clothes smelling of campfire smoke and the desire to repeat this unforgettable experience at some point in the future. In my case hopefully before the green season is over! 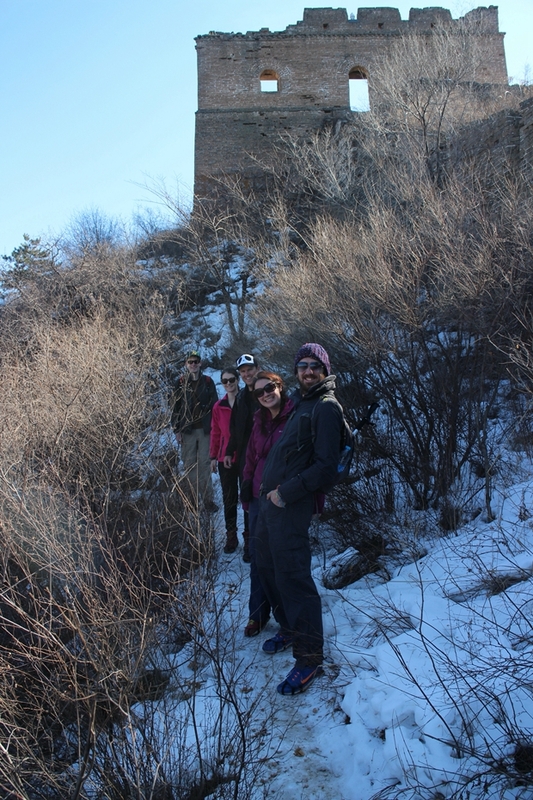 Memories were made on the 2 day Great Wall hiking trip for our family. It was a truly an amazing trip with breathtaking views. John took very good care of us during the hike as well as at the farmhouse. Got to experience authentic Chinese food in the farmhouse. A well organized trip. Thanks John, Fred and Heidi. 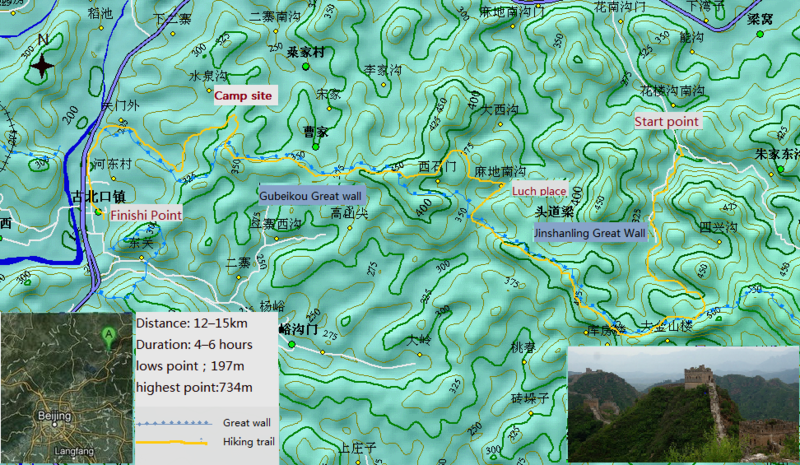 We just did an overnight hiking tour of the Gubeikou portion of the wall with ChinaHiking. From my first inquiry email, Fred was incredibly responsive and helpful. 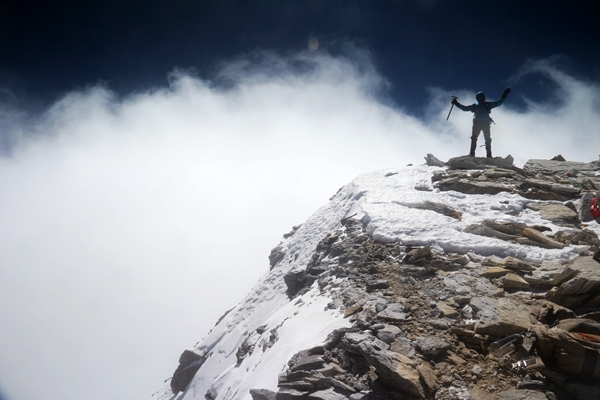 Out of a couple of different companies that I contacted for quotes, ChinaHiking was also the best value. The actual tour also delivered. We had a delicious homemade lunch at a farmhouse before setting off on the hike. The hike ranged from easy to moderate, had great views of the Wall, and we hardly encountered other tourists along the way (just as we had hoped. Our tour guide John was friendly and engaging, as were the driver and his wife. When my husband started feeling sick and decided not to continue on the hike, they helped him off the Wall and took him to our homestay. We ended the day with another delicious farmhouse dinner and stayed overnight at the farmhouse. The accommodations were spartan but sufficient (and our room had a nice view of the Great Wall). Our only complaint is that we thought towels would be provided and because we don't speak Chinese we couldn't ask the hosts. (Our guide John was camping out by the Great Wall with the other couple on the tour). If you're considering a non-touristy alternative to the Great Wall, I'd highly recommend ChinaHiking. The scenery was absolutely breathtaking - an amazing way to experience one of the great wonders of the world. To be able to hike along the Wall and attempt to absorb the planning, building and need for the it was somewhat surreal with the sheer beauty around us. The lunch and the homestay were also memorable with incredible food and a traditional bed to sleep in at the end of a very long day. Unfortunately, my knees were not in as good a shape as I thought they were but our guide had contingency plans for me to choose from so that I remained safe and did not slow the others down (too much:-)). Highly recommendable experience - it is one that I treasure as it was so different to the remainder of my trip. 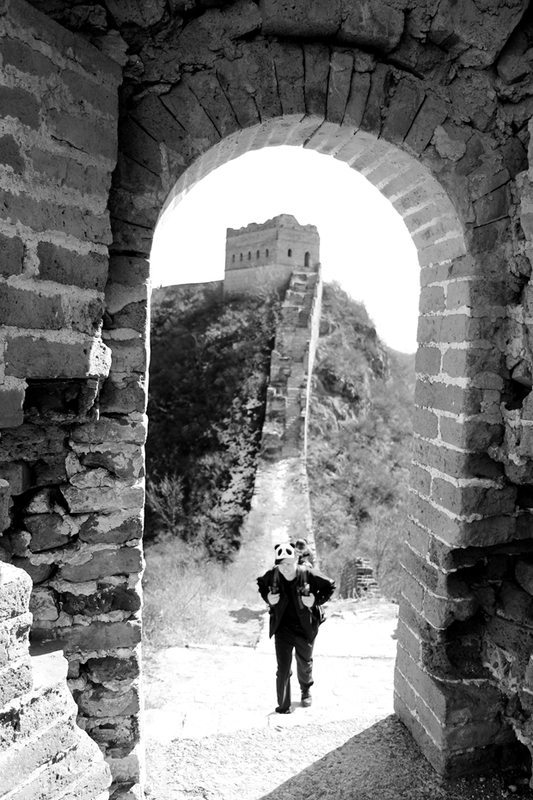 Hiking the Great Wall of China has always been an ambition of mine. 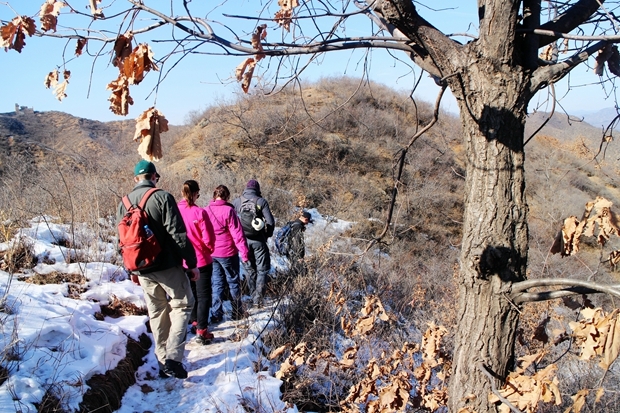 Booking on this 2 day experience with China Hiking was the highlight of our trip and did not disappoint at all. Great feeling to accomplish walking just a part of this long long wall. Amazing views, great guide and awesome local experience with farmhouse food and accommodation. Would recommend to anyone! 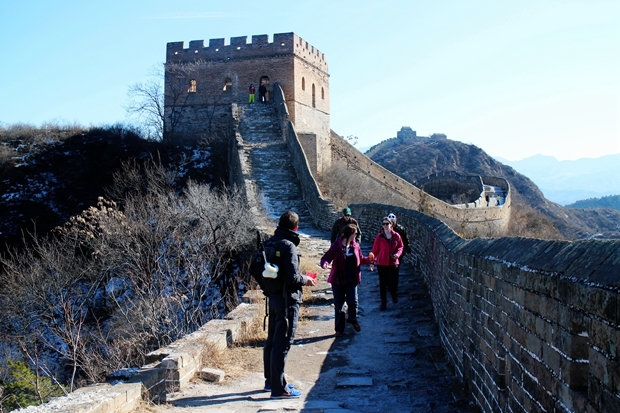 An intense 15 km hike from the renovated staircases of Jinshanling Great Wall to the unrestored fortresses of the Gubeikou Great Wall. The scenery here is stunning and the photo oportunities endless. This is my second overnight trip organized by Heidi and Fred. Wouldn't visit the Great Wall with any other outfit. John was our exceptional guide for our small group of 5 visitors from every corner of the globe. Once you get away from the restored sections, you get to experience the true nature of the hilly landscape with incredible vistas of the surroundings. Lunch at a local house and dinner/homestay at a farmhouse offered a unique experience of terrific food and hospitality of our hosts. While the trees had already started to bloom in Beijing, it was a little early for the trip. However, if you go on a hike this week, you will be amazed by the apricot flowers!! Loved this trip and will be back for another adventure in the future!! China Hiking planned the perfect excursion, ours from Jinshanling (a restored, more trafficked part of the Great Wall) to Gubeikou (a wild section in which we were the only hikers/visitors there!). Owners Fred and Heidi actually created this trip around the dates that I was available, which was simply going above and beyond--I was amazed and grateful. They saw our group off from the subway station, and our guide, John, took perfect care of us, pointing out interesting things during our trek, offering patience when some people moved more slowly, and encouragement to all. We had lunch at a lovely spot tucked away to the side of the Wall and then stayed overnight in a cozy private home, where the family prepared a huge, delicious meal for us and let us sleep in their heated kang beds. It was an experience full of new highs and excitement, a twelve-mile hike along the Wall (at times challenging, but always fun!) and then a stroll through Gubeikou village that I will never forget. Thank you so much, China Hiking! I hope to hike with you again and bring more friends along next time! I'm so happy I decided to sign up for a hike with ChinaHiking. The hike was breathtaking—I've never felt so secluded in China (the world's most populated country on planet Earth!) John was a wonderful guide, sharing lots of history about the wall and insights about Chinese culture. The homestay was incredibly memorable—I really enjoyed experiencing a Kang bed and the meals were amazing!! I highly recommend this experience while you are in China.